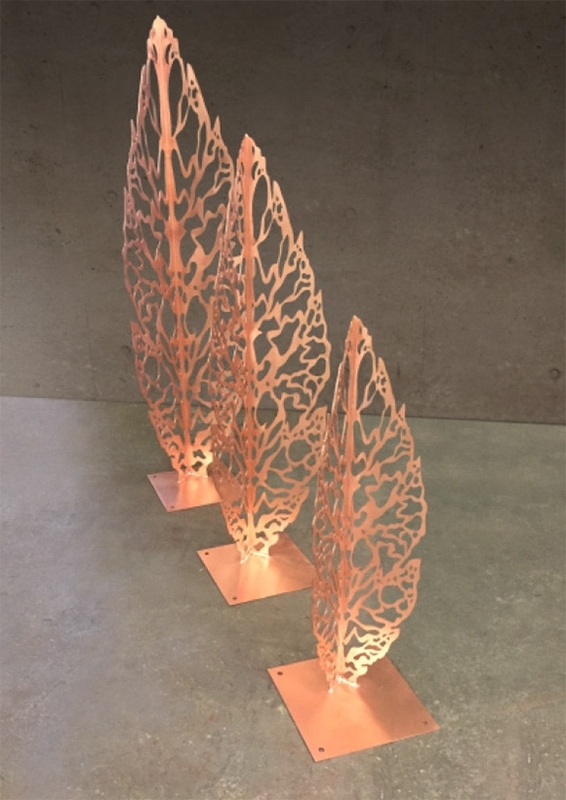 A set of three free-standing leaf sculptures, 0.9 to 1.5 metres high, laser-cut in copper from an original photograph, for use as decorations in a private garden. 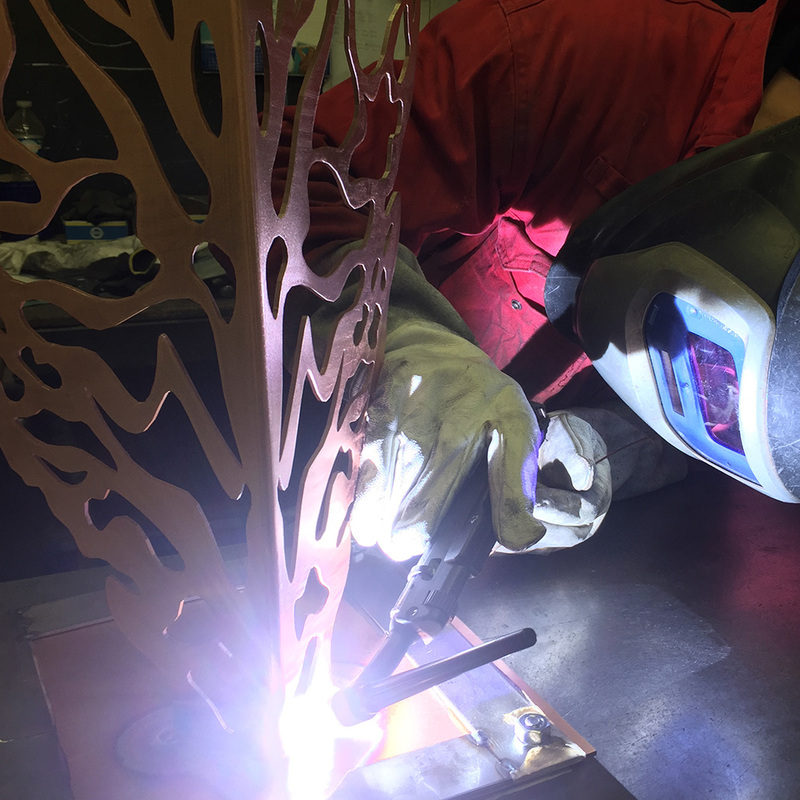 We were commissioned to make a set of three decorative sculptures for a project on behalf of a private client. 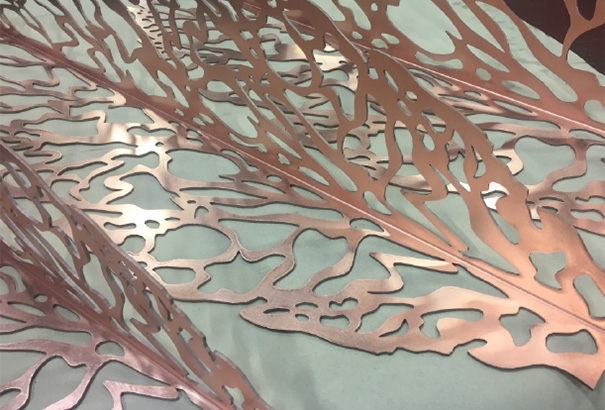 Our brief consisted of a photograph of a leaf, some basic dimensions, and a requirement to make the sculptures free-standing, and in copper – and that was it! 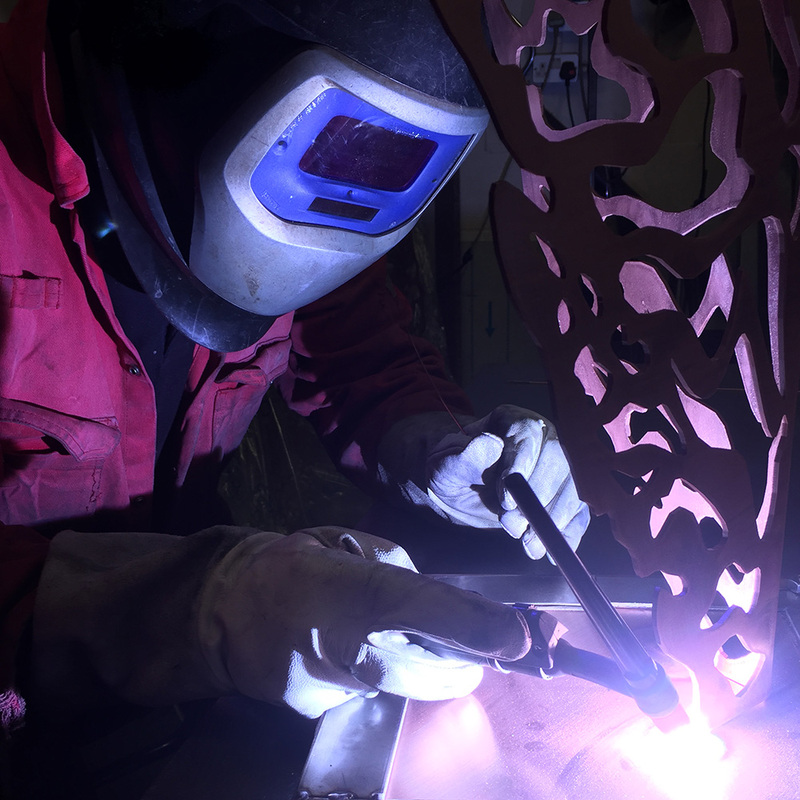 Our first challenge was to create a working engineering design from the original JPEG format. 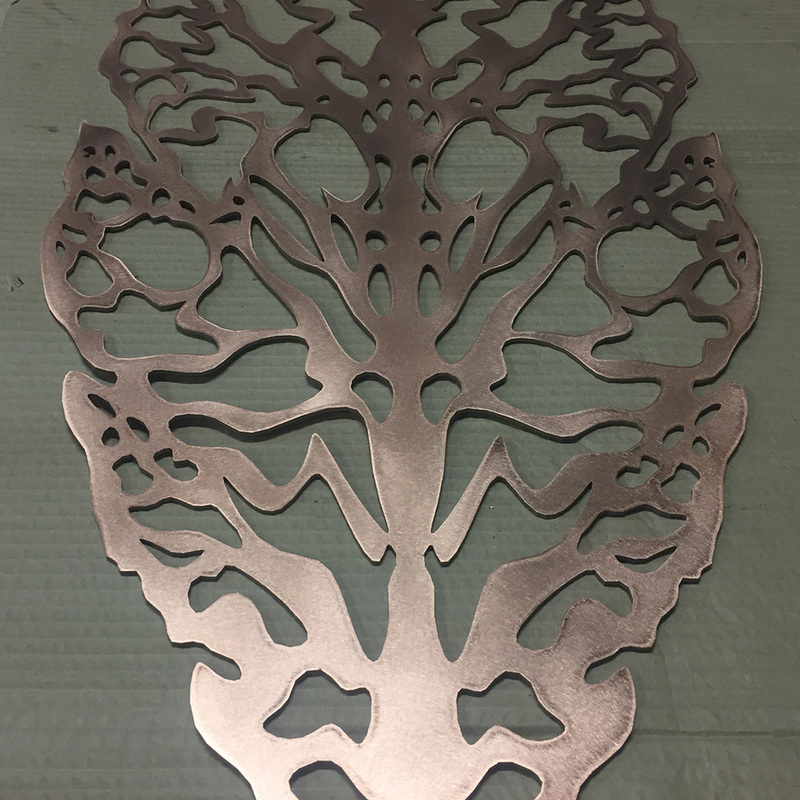 Our designers painstakingly hand-drew the leaf shape in CAD to create a scalable DXF file we could run on our computer-aided laser-cutting machines. 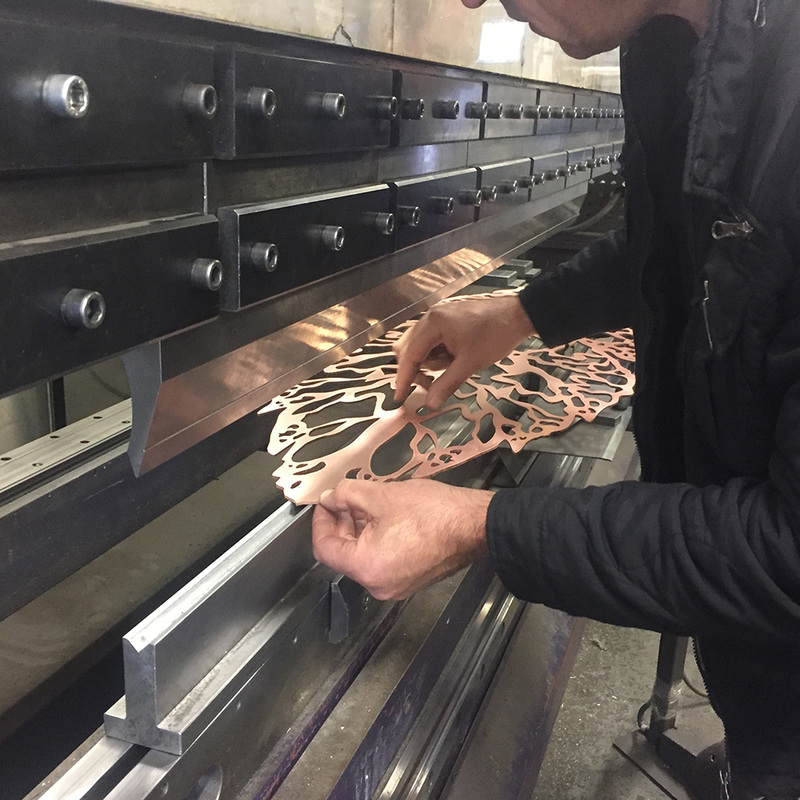 We laser-cut three leaves, one each at 900mm, 1200mm and 1500mm high, to fit the dimensions specified by the brief. 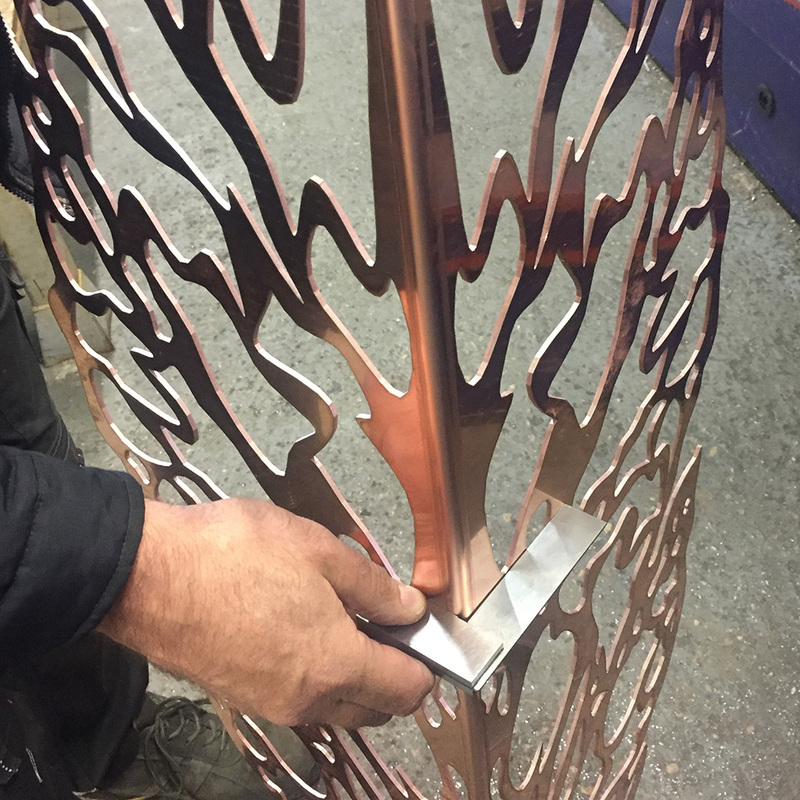 The leaves were cut from copper and welded to baseplates, so as to be freestanding. The copper was left untreated, so it would oxidise and acquire the natural bluish-green patina of verdigris over time. 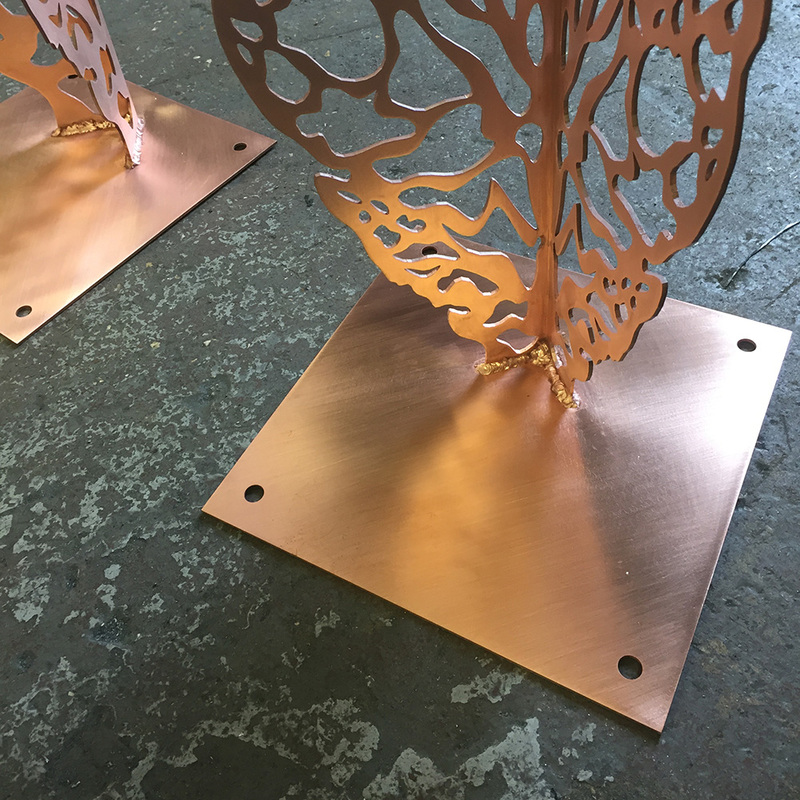 This was a high craft project: copper is more difficult to weld than steel, and it took time to achieve the finish we wanted, with every cut perfect and no sharp edges anywhere.